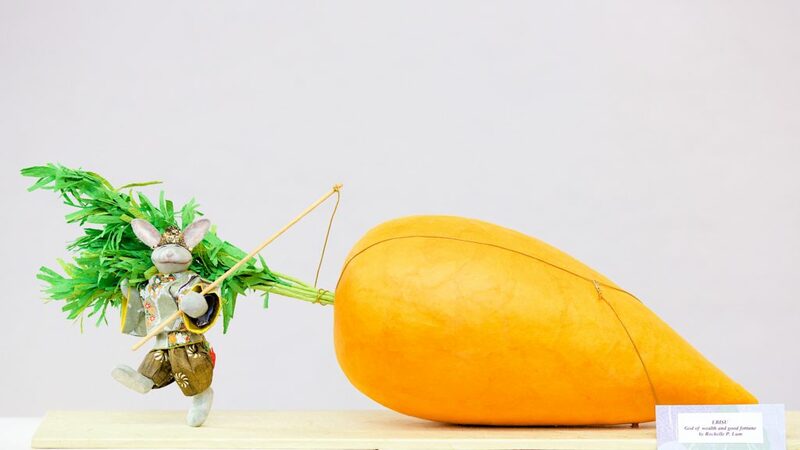 At the Festival, we highlight two types of Japanese Doll Making – Washi Ningyo (Japanese Paper Dolls) and Mataro Dolls. Washi Ningyo (Japanese Paper Dolls) found its origin in a paper doll called “Anesa­ma Ningyo” which was favored by girls of all ages throughout Japan during the last 500 years starting in the Edo period of Japan (1603-1868). In the Japanese feudal society, the common people were stuck within the social class in which they were born. These dolls were a way for young girls of the lower social classes to be a part of those other classes even if only through child’s play. Most times, these anesama ningyoo were made by the elder sisters or women of the families. These dolls were made out of Japanese washi paper and cotton. These Japanese Paper Dolls do not have eyes, nose or mouth, because it is said that the facial expression changes according to the imaginations of the owner or maker. The lovely paper dolls made by beautiful traditional Japanese Paper called Washi, will be exhibited at the JCCCNC. Many of these intricate dolls are designed by the students and teachers (Rochelle Lum and Yurie Nakamura) and inspired by Japanese traditions and cultures, as shown in Ukiyoe (wood block print), theater art in Noh, Kabuki, Bunraku, etc. The 2019 exhibit theme is Wedding costumes including Western style and other cultures as well as traditional Japanese wedding costumes. 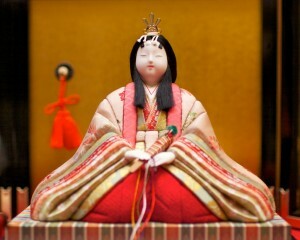 The Mataro Doll is a type of Kimekomi Ningyo (wooden dolls dressed in kimono). These dolls were a product of the Edo period and have a history of over 300 years. Originally, the body of the kimekomi doll was made of wood with grooves carved into it. The edges of carefully cut pieces of cloth were inserted into grooves and held in place with rice glue. This method of dressing the doll is traditionally called ‘Kimekomi.’ Today, the doll bodies are not carved out of wood. Mataro Kanabayashi I (1897 – 1984), founder of the Mataro Doll Academy, developed a unique method of molding the base form of a doll from paulownia (Japanese Kiri-no-ki) sawdust and glue, naming his creation the “Mataro Doll.” Mataro I changed his subject matter from the past abstract ones to realistic ones. He also believed that the most elegant era in Japan’s history was none other than HEIAN period and endeavored to create kimekomi dolls to represent “the world of elegant beauty of that era”. The Mataro Doll Exhibit will be held on the second weekend at the Union Bank’s Community Room (across from the Daiso store) in Japantown. San Francisco-East Bay Miyabikai members will be available to answer any questions regarding the exhibit, and Kimekomi Dolls. The exhibit will include doll display, doll making demonstration, and sale of craft items made by San Francisco-East Bay Miyabikai members.